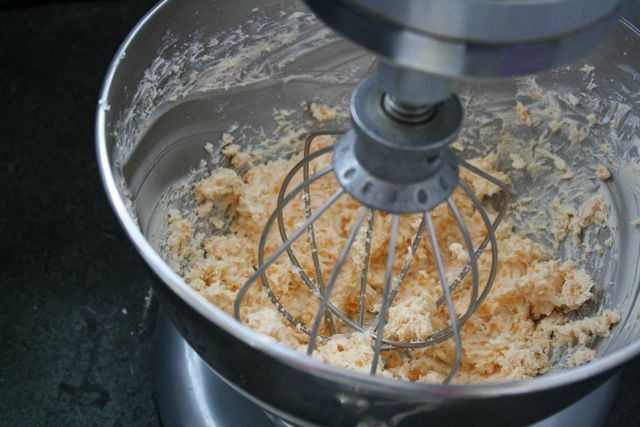 Dollop of Cream: cheese ball! I think I first encountered the cheese ball in third-year university. It was just after Christmas, and I had had my wisdom teeth taken out a few days before. I looked like I was related to Bill Clinton, and surely I was only eating soft foods . . . But I still felt well enough to attend a picnic club reunion. The picnic club was a very exclusive little group: just me and my friends Erin and Tim. We started it when we were in high school in Kelowna, I think mainly as an excuse to have picnics together. Erin soon made us official membership cards. I still have mine. We all ended up choosing universities on opposite ends of the continent, but we would still meet up at Christmas (for indoor picnics) and summer (if we were all back at the same time). I've just found the pictures for the cheese ball picnic, and it looks like we did indeed have a soft-food theme: spinach dip in a sourdough bowl and soup were also on the menu. I can't imagine how I navigated my way around the nuts on the cheese ball, but I must have done it. Because I came away from that picnic with Erin's family cheese ball recipe . . . and I've been making it ever since. In fact, if you invite me to a party today, there's a good chance I'll bring a cheese ball. 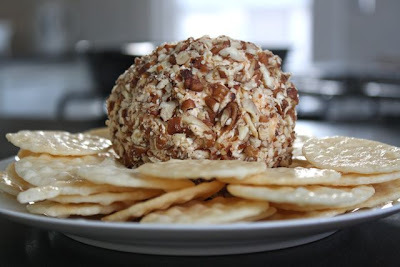 I just don't think you can beat a cheese ball for holiday snacking. It's retro, it's a snap to make, it's easy to transport by bus or car and – really – who doesn't love a cheese ball? 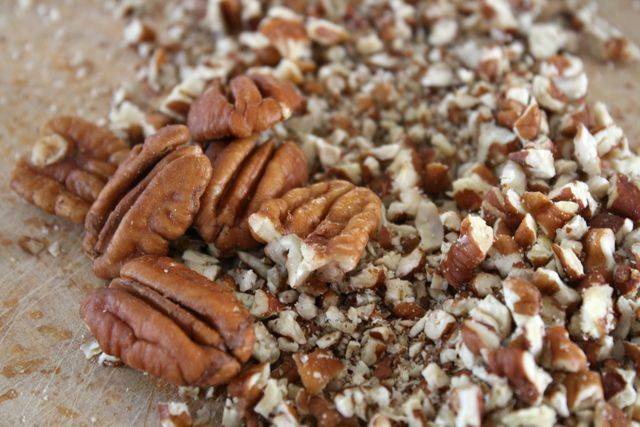 You can also play around with the ingredients. As long as you have cream cheese and a hard sharp cheese, you're good. You can roll it in pecans or walnuts, or even almonds in a pinch. You can add olives to one little cheese ball (with an olive on top to signify its special status) and keep the olives far away from the other pure little cheese ball. 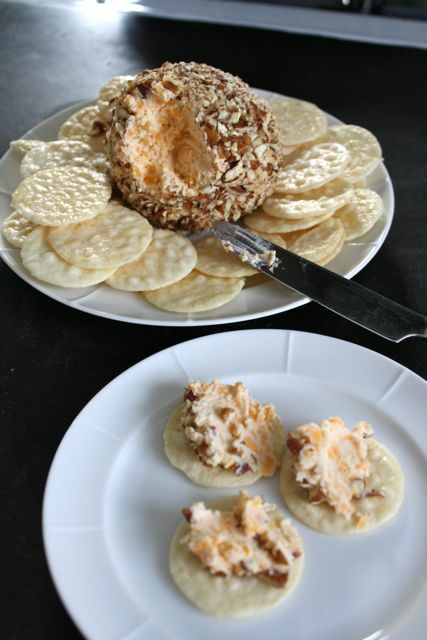 You can take the leftover bit of cheese ball in your lunch the next day with crackers for a holiday snack. Cream the two cheeses together with an electric mixer. Add the worcestershire sauce, onion powder and garlic powder, and mix well. If you're using olives, mix them in at the end. 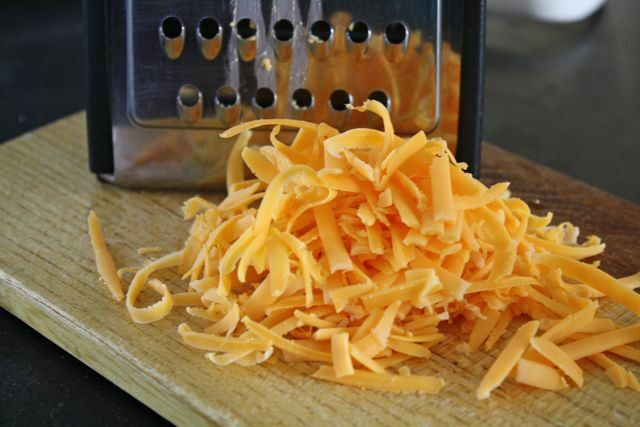 Use a spatula to take out the cheese mixture and form it into a ball with your hands. Roll the naked cheese ball in the chopped nuts. If you're using olives, put one on top (because it looks cute). Store in the fridge in an airtight container, or serve immediately with crackers and a little knife for spreading. ** I often don't have onion powder on hand. Just add an equal amount of garlic powder. I love cheese balls! My favourite cheese ball is very similar (no surprise), but in place of olives I use chopped dill pickles. I love! dill pickle cheese balls.